How do I view my Logging Folder? When issues arise within the Philips SpeechExec Pro software, a log of the issue will automatically be created. 3. Go to Philips Speech > SpeechExec > Logging. How long do the batteries last in the DS-4000? How do you mark a job as priority on the pro line of digital pocket memos? Question: How do you mark a job as priority on the pro line of digital pocket memos? 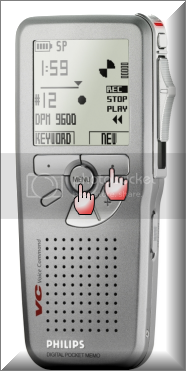 When you completed your recording on a Philips LFH-9500 or LFH-9600 Digital Pocket Memo, press the EOL button twice to mark the job as STAT. Verification Source: Philips Product Manager, Rob Johnson. How to I check the firmware on my Philips 9300 series, 9500 series & 9600 series Digital Pocket Memo? Follow the instructions below to check the firmware on a Philips Digital Pocket Memo. 3. 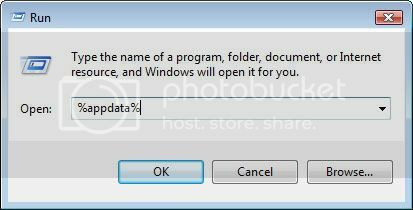 When redirected the the File Menu, Press the Right Smart Key twice. 4. The Model Number, Serial Number & Firmware will display. How long is the cable on an Olympus RS-27 Footswitch? How do you rename a file within the Philips SpeechExec Pro Dictate v7.1 software? 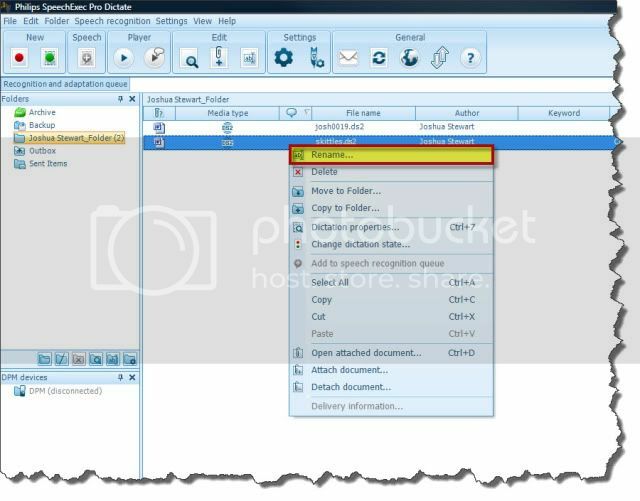 There are several ways to rename an audio file within the Philips SpeechExec Pro Dictate software, the fastest method is to select the audio file you wish to rename; right-click and select [Rename].